Thursday, June 28th, 2018 at 9:45am. 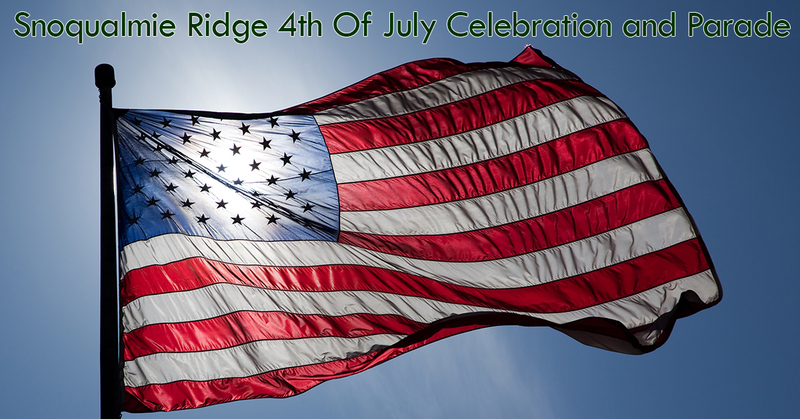 Decorate your bikes and trikes and show your patriotic spirit by participating in the annual 4th of July Parade at Snoqualmie Ridge. The parade begins at 10:30 am at Cascade View Elementary. Following the parade, join us at Community Park for an afternoon celebration filled with food, games, music, face painting, pony rides and more… And come visit The Cascade Team as we host FREE Sno-Cones for our 13th straight year along with some other fun free giveaways! The Mt Si Highschool Cheerleaders will also be assisting The Cascade Team this year at the Sno-Cone Booth!! It’s a free event open to the Snoqualmie community and typically attended by thousands every year. So grab your family, your red, white and blue – and see you at the park! Tuesday, June 26th, 2018 at 11:28am. Wednesday, June 20th, 2018 at 9:58am. Friday, June 8th, 2018 at 12:35pm. Today we tackle the “balanced market“, which is considered to be an overall real estate market that does not favor the buyer or seller dramatically. Or a market where 40% to 60% of new listings in any given month sell. Both definitions boil down to how quickly the inventory (all the homes for sale) are getting sold. Home Prices in a balanced market tend to increase slowly and steadily, sometimes appearing flat. Tuesday, June 5th, 2018 at 11:33am. KIRKLAND, Washington (June 5, 2018) – Member-brokers of Northwest Multiple Listing Service added 14,524 new listings during May, the first time that volume topped 14,000 since May 2008.